Ever since March of 2013, King’s Candy Crush Saga enjoyed a consistent spot as the top-grossing app on iOS. However, the game’s reign seems to have ended. 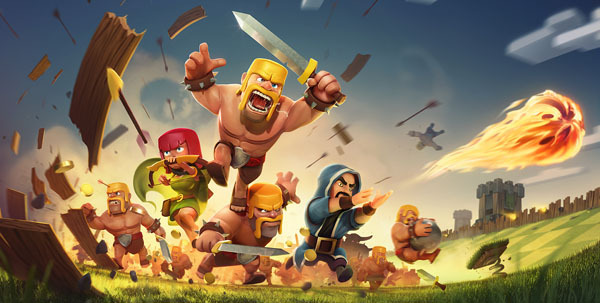 Supercell’s Clash of Clans has been the top-grossing app on iOS since February. In the past week, Clash of Clans has raked in over $7 million in revenue, according to AppData. Candy Crush earned about $6.1 million in the same time period. Both games are free to play, and both offer in-app purchases as a way to generate revenue. However, Clash of Clans uses Apple’s Game Center for sharing, while Candy Crush uses Facebook. King leverages Facebook Connect, making Candy Crush a cross-platform game. Clash of Clans, on the other hand, must develop a different sharing system for different platforms, as Game Center is only available on iOS. Which game do you enjoy playing most?